PianoArc "Brockettship", Other MIDI Controller from PianoArc. 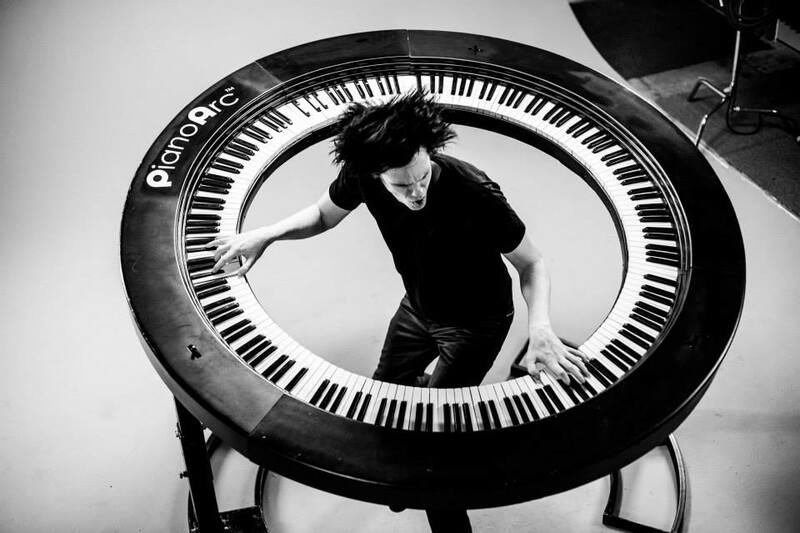 Brockett Parsons and his friends give you the opportunity to get your own custom version of the PianoArc circular keyboard controller. 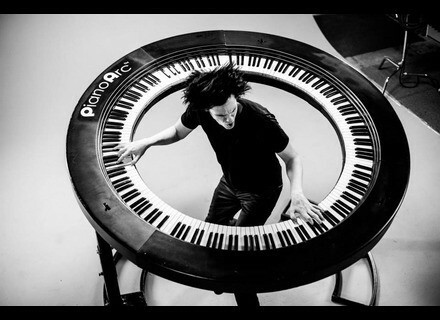 The PianoArc first appeared in 2012 on stage during Lady Gaga’s tour. The instrument was created by Brockett Parsons and combines three 88-key controllers assembled in circle, with a control section and pitch bend/modulation wheel for each keyboard section. The PianoArc features adjustable wooden keys, and a pivot system with optional PNOScan optical sensor is available. You can also adjust the instrument height and the stand can be tilted on +/- 50 degrees. The controller includes MIDI input and output, USB MIDI as well as expression and sustain pedal inputs. Pricing of the PianoArc depends on requested options, you can request a quote at pianoarc.com. Elliott Garage emulates the Linn LM-1 on iPad Elliott Garage has launched on the AppStore the EGLM1 drum machine app for iPad inspired by Roger Linn’s LM-1. Friday’s Freeware: Boogex Voxengo has updated its free Boogex guitar amp simulator and effect processor to v2, almost 10 years after the release of v1.